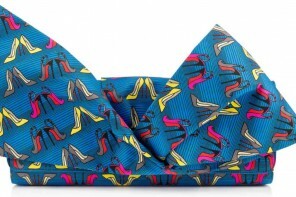 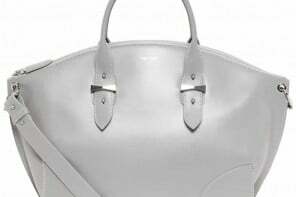 Women need bags in various forms and colors to complement all their outfits. 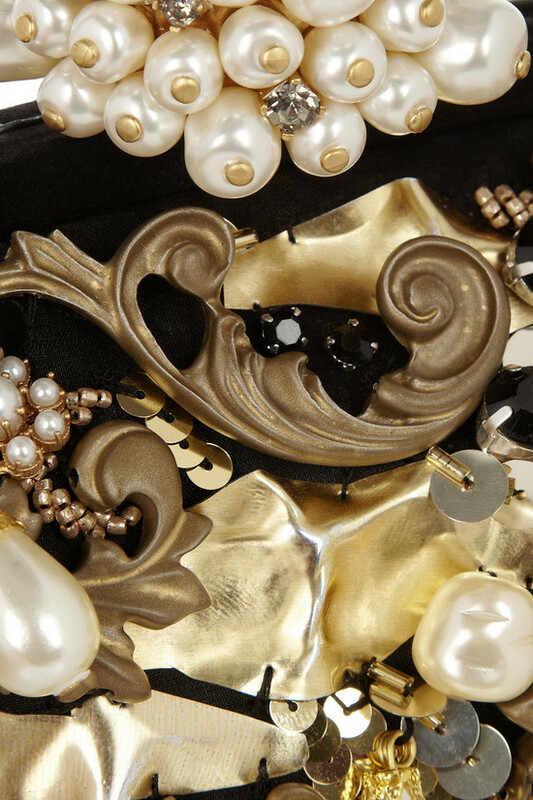 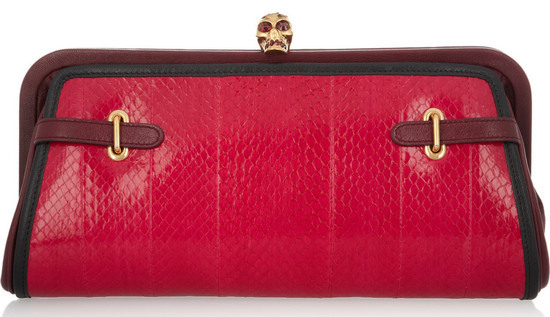 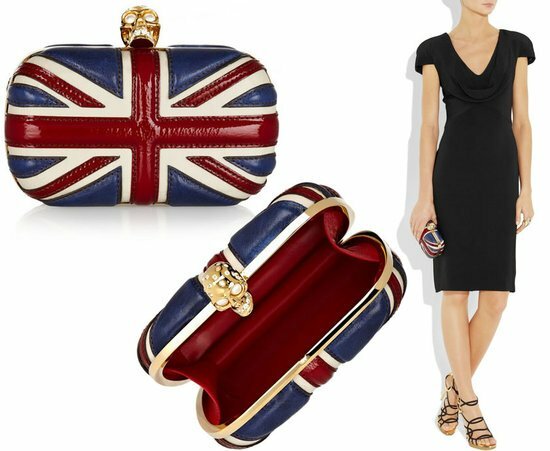 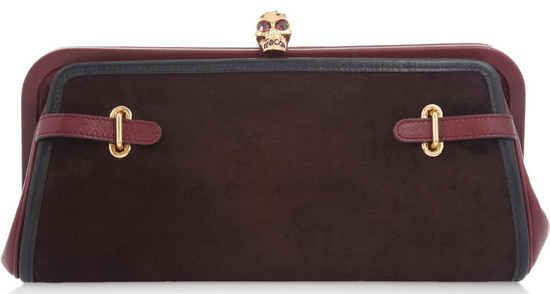 Alexander McQueen’s convertible suede and snake clutch is designed to cater to such whims. 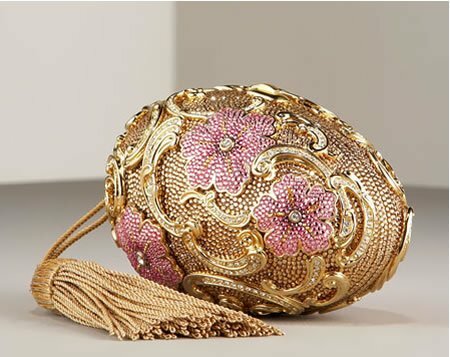 Elegantly fashioned to sport three looks in one single clutch, this convertible accessory converts effortlessly to catch up as well as match up with the fashionista’s stylish demands. 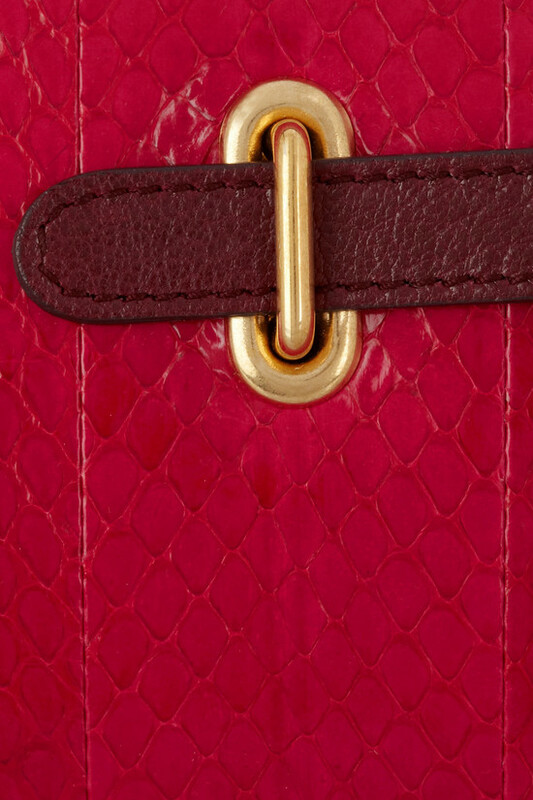 A detachable, reversible panel can be switched over to flaunt the cherry snake or eggplant suede. 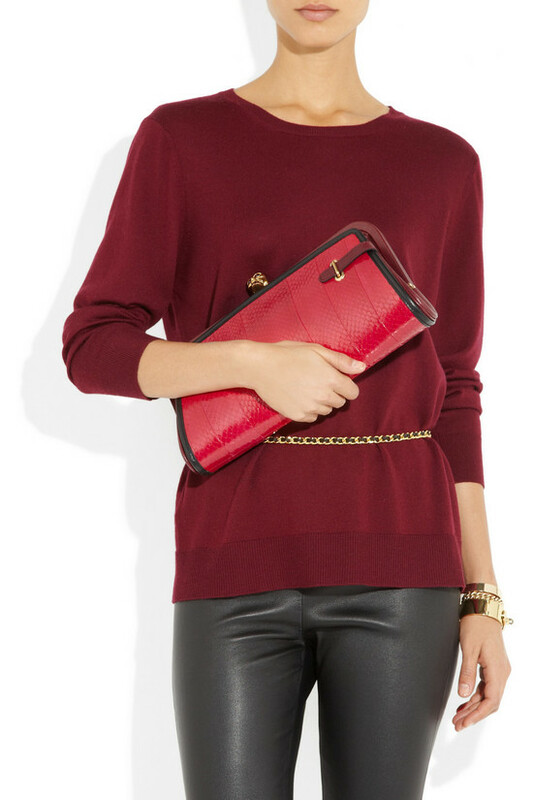 To opt for the base Oxblood leather look, simply take off the two-sided panel. 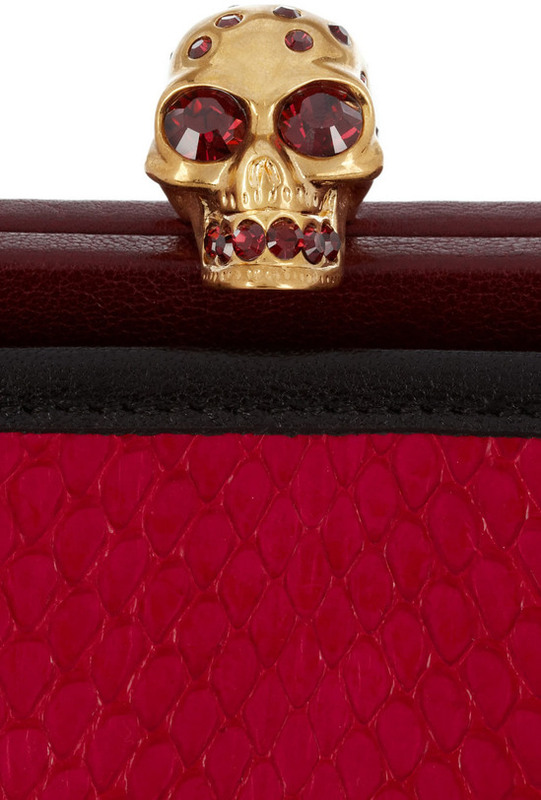 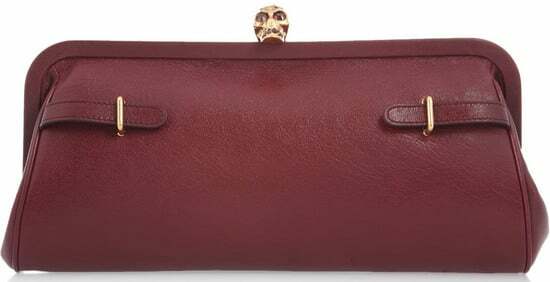 The clutch screams its identity with a Swarovski crystal-studded skull clasp. 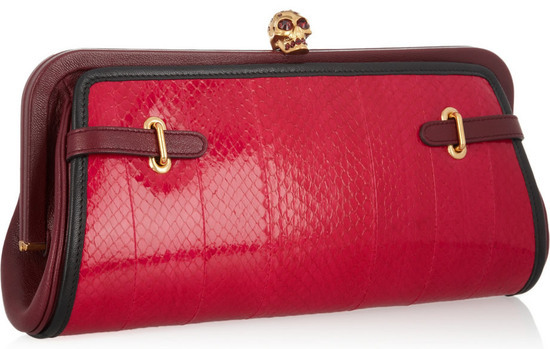 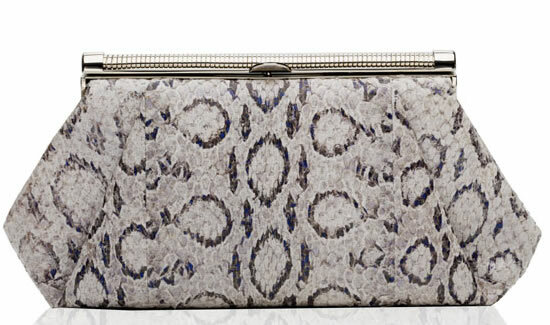 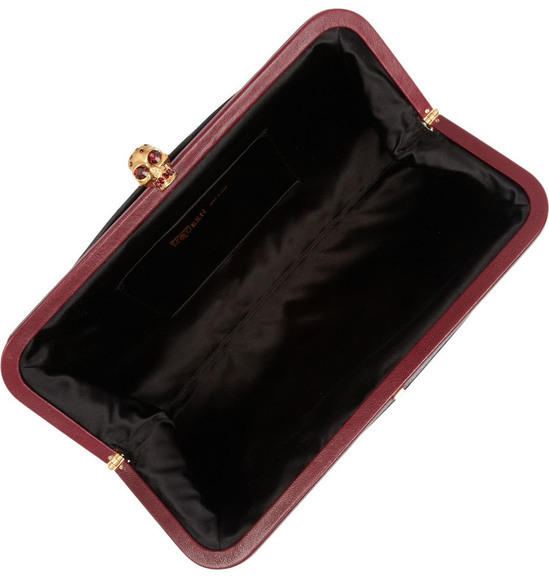 The Alexander McQueen convertible suede and snake clutch is available for $2,095.